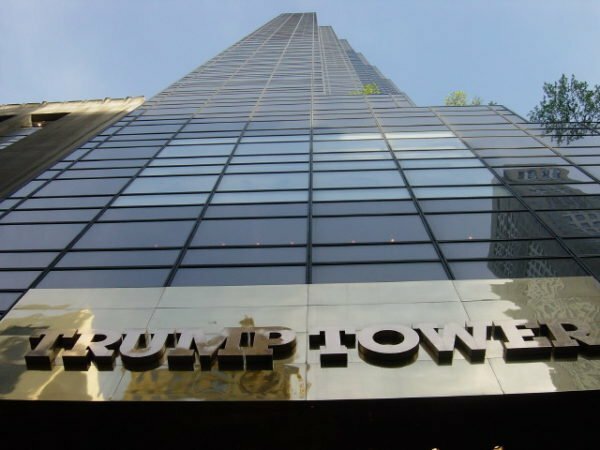 A 20-year-old man has been arrested in New York after trying to scale Trump Tower in midtown Manhattan using rope and suction cups. Workers removed windows from the glass-faced, 58-storey skyscraper to prevent the man from going higher. NYPD officers eventually grabbed him as he reached the 21st floor and pulled him inside the building. The building is the headquarters of Donald Trump. He also lives in the building but was not in New York. Police said the Virginia climber wanted to meet Donald Trump. They did not believe the man intended to harm anyone. In a YouTube video posted earlier this week the man described himself as an “independent researcher” and needed to deliver an “important message” to Donald Trump. The man was taken to Bellevue Hospital to be psychologically evaluated, police said. Large crowds gathered outside the building along Fifth Avenue as the incident unfolded over several hours.